Gary Clark Jr. was sitting on the ground of the porch, sprawled out in a way that the Texas man always makes look cool. It was a hot spring afternoon in Austin - not too hot, but just right. The girls in the young Los Angeles band Haim were immediately taken by the effortless charm of Clark Jr., but it seemed about like how it should be - effortless charm appreciating the same in others. They were inviting him to Laurel Canyon for a pool party and BBQ, the next time he happened to be out on the West Coast and we'd be surprised if he didn't take them up on it. They were speaking of the Canyon the way it usually gets spoken of - all that idyllic beauty and that magic in the water and trees. It's that place where you can just go to escape all the crap. It's where you burrow away and you pack in as many of your favorite people as you possibly can so there's no reason to ever leave. 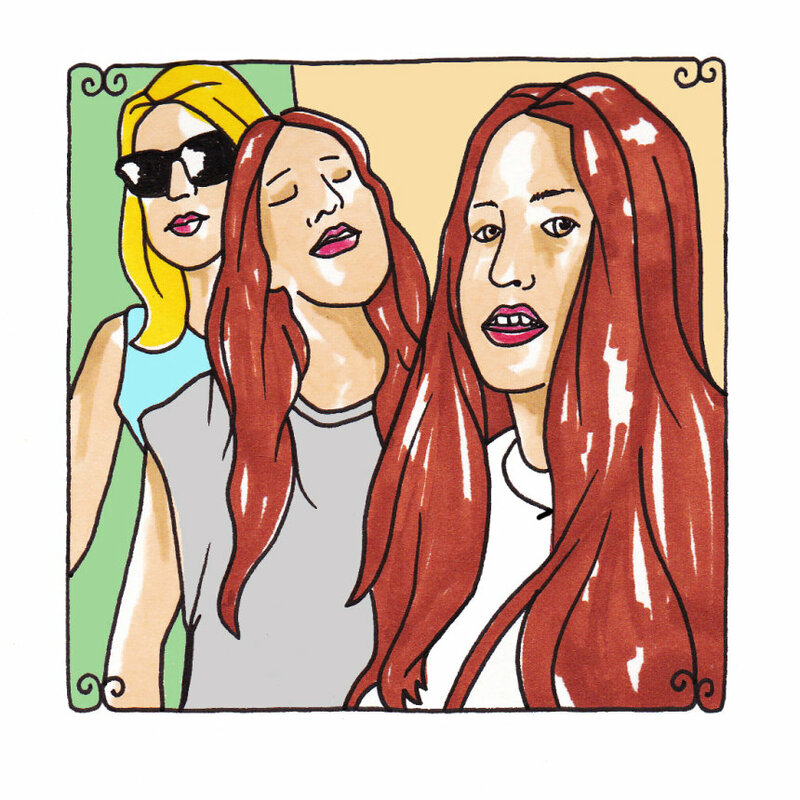 What the three ladies of Haim - sisters Danielle, Alana and Este - and drummer Dash Hutton make absolutely paramount in their music is this together-at-any-cost feeling. It's an epic feeling that comes out of Danielle's compellingly hushed, almost sultry lead vocals and the soaring harmonies delivered by Alana and Este - all of which pile together to form a magnificent wall of swelteringly pure love and devotion. The songs that they write are cut from the same cloth as golden era pop hits, steeped in big hooks and those come here and be my baby forever lyrics that can't help but make you lonely if you don't have your arms full with someone special. They sing about songs that aren't meant to be sung by just one person, but rather with a honey - two voices combined, inseparable. These are three voices that have been working together for who knows how long - on family car rides, in the bathroom getting ready for school in the mornings, out back around a campfire, or wherever they were in the same place. There's nothing like sisters singing together and this is just another example of the sweetness that comes from such a thing.